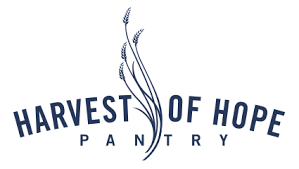 When: Friday, April 5, 9:00-11:00 a.m.
Join us for a morning of giving back by volunteering at Harvest of Hope Pantry! We will be helping with general housekeeping, sorting various donations, repacking soap & shampoo donated from local hotels, and providing extra support to our morning program by assisting clients with their shopping experience. Volunteers should plan to wear clothes that are appropriate for a pantry / warehouse type environment that they don't mind getting a little dirty. Important - Pants and closed-toed shoes are a requirement. When volunteers arrive at the pantry, plan to park around the backside of the building and ring the back doorbell. Consider carpooling or taking alternative transportation to save space for clients utilizing services. Friday, April 5, 9-11 a.m.